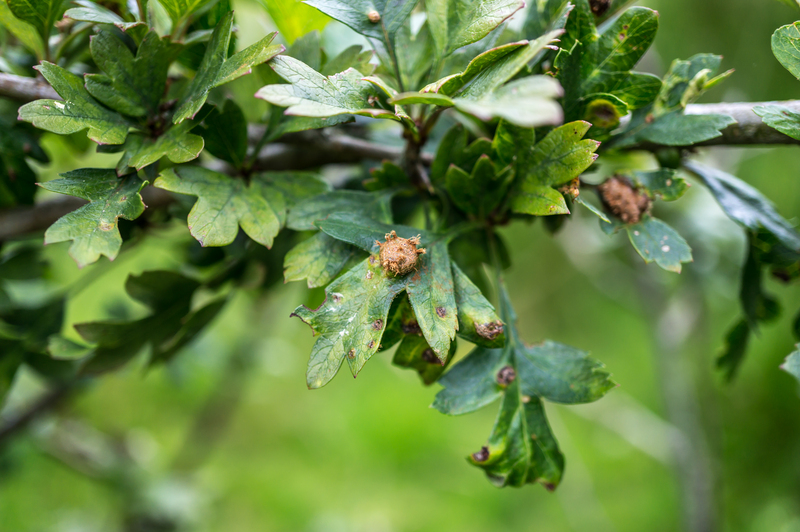 Our comon friends, the Juniper and the Hawthorn, share a fungal pest which requires both these plants be present and near enough to each other to allow transport of fungal spores from one to the other. Gymnosporangium spore forming bodies on Juniper seen each spring at Ardgay. Gymnosporangium juniperi-virginianae is the fungal pest which in turn attacks Juniper, then Hawthorn. Juniper is infected in mid to late summer by spores created within galls on Hawthorn. 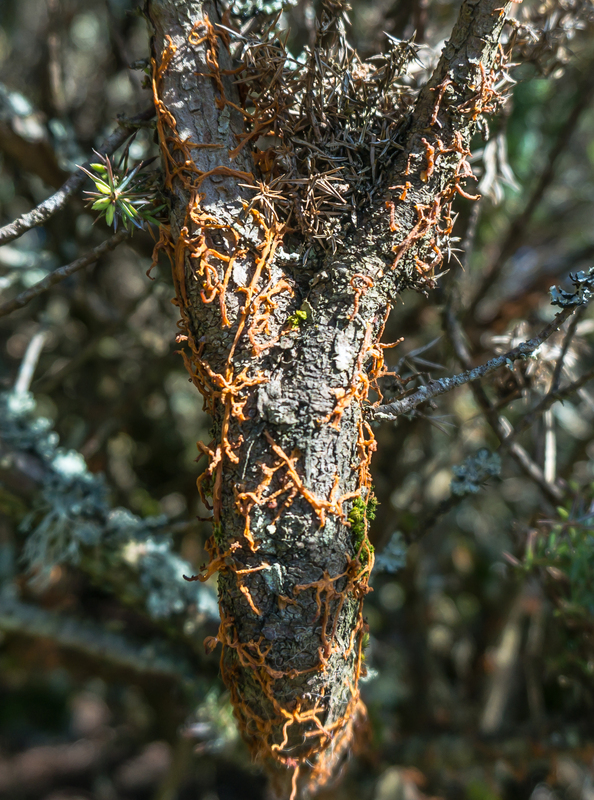 After over-wintering spring moisture causes Gymnosporangium galls to form on the Juniper. Spores from the Juniper infect the Hawthorn. This heteroecious cycle repeats. 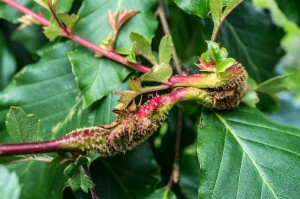 Galls which form each summer on Hawthorn at Ardgay. Heteroecious: noun/adjective, parasites (esp rust fungi) undergoing different stages of the life cycle on different host species. Compare Autoecious. This entry was posted on Friday, July 17th, 2015 at 19:40	and is filed under Who Has Seen What. You can follow any responses to this entry through the RSS 2.0 feed. Both comments and pings are currently closed. Excellent series of photos, well done Marion & Phil. 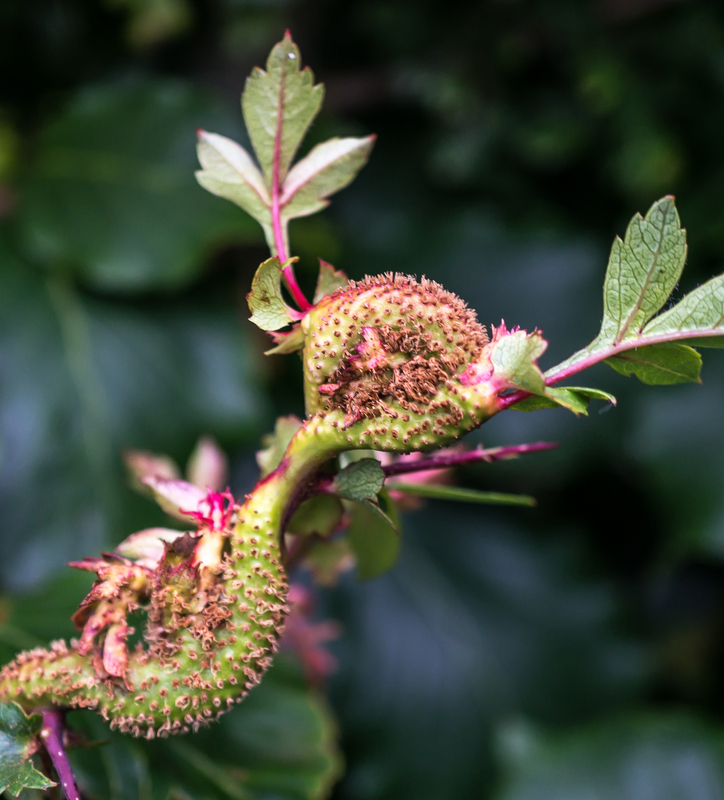 It’s not easy to track down the different stages in these parasites as they occur at different times of the year.